Detroit Diesel, or just Detroit as it's more commonly known now, is one of the best known names in diesel engines. Beginning in 1938, it used to be part of GM, before being sold to DaimlerChrysler AG in 2000. Its first engine was the two-cycle Series 71, which found its way into tanks and other equipment, particularly with the onset of WWII. As you may know, Detroit Diesel often releases its engines in series (except for the DD line, of course). One of the more popular series is the Series 60, which includes three different engine applications, a 11.1L, a 12.7L, and a 14L. The first engine in the Series 60 line was produced in 1987 as a more fuel efficient choice than what was commonly available for heavy-duty at the time. Despite Detroit discontinuing production of the Series 60, many engines from this line are still around. In fact, a large number of city buses use these engines, especially the smaller two versions. Series 60 engines are also Detroit Diesel's first engine to be fully electronically controlled. Their DDEC (Detroit Diesel Electronic Control) systems helped revolutionize engine controls and gave many fleet and owner-operators greater control over the management of their engines. It included engine diagnostics, as well as warning lights for the driver. The DDEC system has gone through several versions throughout the years, with changes including horsepower rating and different ECM voltages. The later version of the Series 60 engine, the 14L, is the focus of this blog post. More than just being larger, it's a fair bit different from the 11.1L and 12.7L. It has a larger crankshaft and increased horsepower, which also led to higher fuel consumption. The 14L completely replaced the 12.7L when the smaller engine was discontinued in 2007. Like all Series 60 engines, the 14L features complete electronic controls in the form of the later DDEC versions. While this version of the Series 60 may not have been as popular with buses as its smaller counterparts, it did dominate the Freightliner over-the-road applications. Freightliner and Detroit even collaborated on some engine road testing. With the 14L, engine displacement increased, leading to its increased horsepower. It was also more efficient, as it was modified several times to keep up with increased emission standards and regulations. This included changes to the ECM, particularly the move to a multiple ECM system. The 2007 changes to the engine in particular led to cleaner emissions in an effort to comply with the harsher EPA rules regarding NOx. In 2011, the Series 60 engines were phased out, and this included the 14L. They have been replaced in production with the well-known DD line, although Series 60 as an engine line remains extremely popular. It's durability and power help keeps its place in the diesel engine history. If you have a Series 60 14L engine and are looking for parts, Highway & Heavy Parts has a large selection to help you with whatever you're looking for. We aren't kidding around with this kit—it features all new parts, zero core charges, and a great warranty! This kit also includes forged steel one piece pistons, which helps lower emissions and prevent soot saturation. They also have a longer life than your average piston! Need durability? That's what these components will give you. The premium coated top fire rings are durable and give your engine max performance. 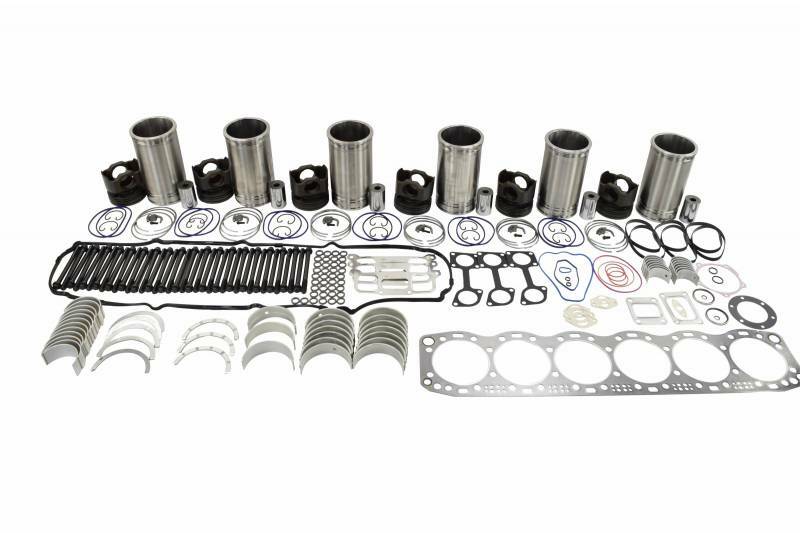 With up to 50% off OEM pricing, this kit will take your engine the extra miles you need! Has your engine lost power? You might need a new turbo. 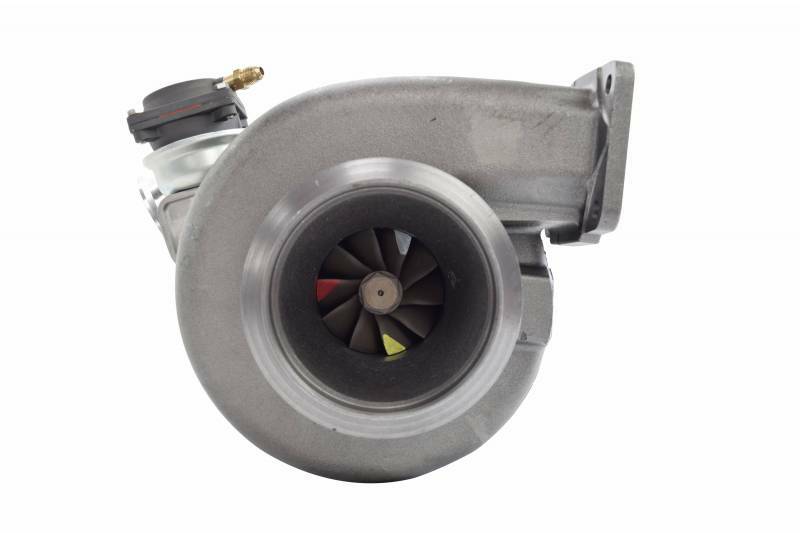 This turbo is all quality—and the suppliers we work with often supply the OE as well. So you end up getting the same parts for a lower price. What's not to love about that? Manufactured in an ISO certified facility, you know you're getting the best possible part for your money. So why not upgrade that old turbo? Your engine will thank you. Want new parts? This kit has new parts. Made to OEM specifications, you'll end up paying much less for this kit. But less money doesn't mean lower quality. This kit was manufactured in an ISO certified facility, so you know it's quality. The parts included are designed to last. Take a look at the cylinder liners, for instance. They have a liner cooling design to decrease heat retention, which in turn reduces wear. This kit means business! This injector may be remanufactured, but it runs like new! That's because it's been fully disassembled, inspected, and cleaned to ensure you're getting the best. That's why all critical components have been replaced. You'll be saving money, and your engine will be more efficient. 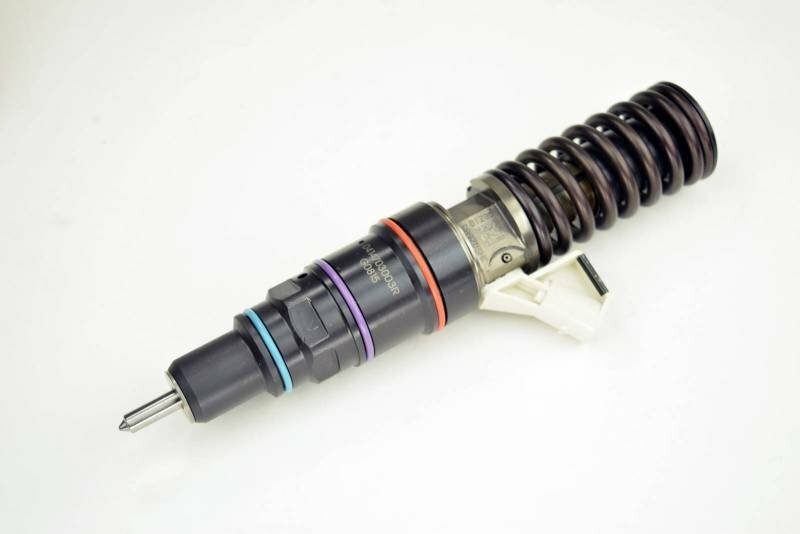 With quality equal to or better than the OE, you'll get the best possible injector for your money! Still need help finding parts for your Detroit Diesel Series 60 14L? Our certified techs can help with that. Have your engine serial number handy and call them at 844-215-3406, or request a quote online.